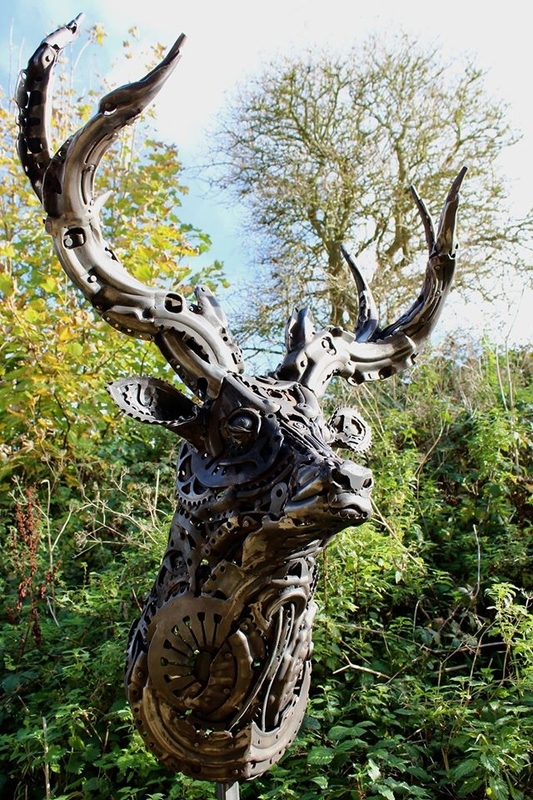 The following statement from British Artist and Upcycle + Recycle Sculptor Alan Williams, goes a long way to explaining how he started in his craft, "I started making things when I was a young lad using old toys and a tube of glue. 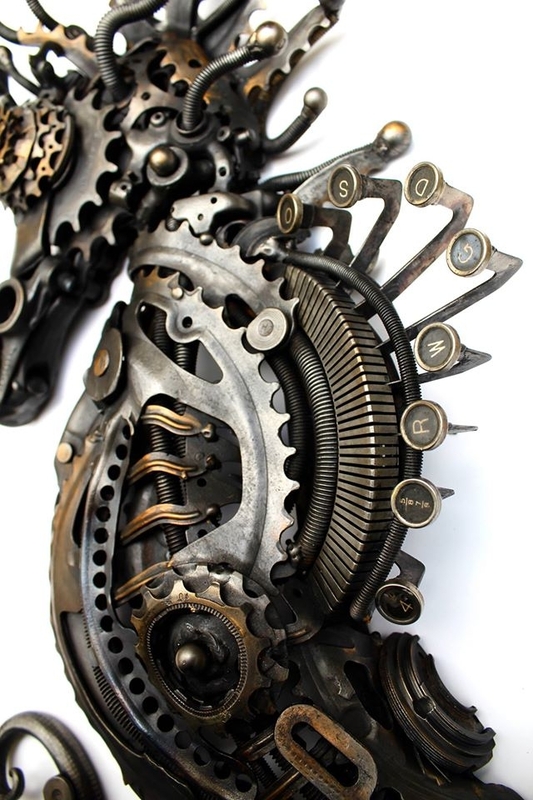 Now it's grinders and welders". 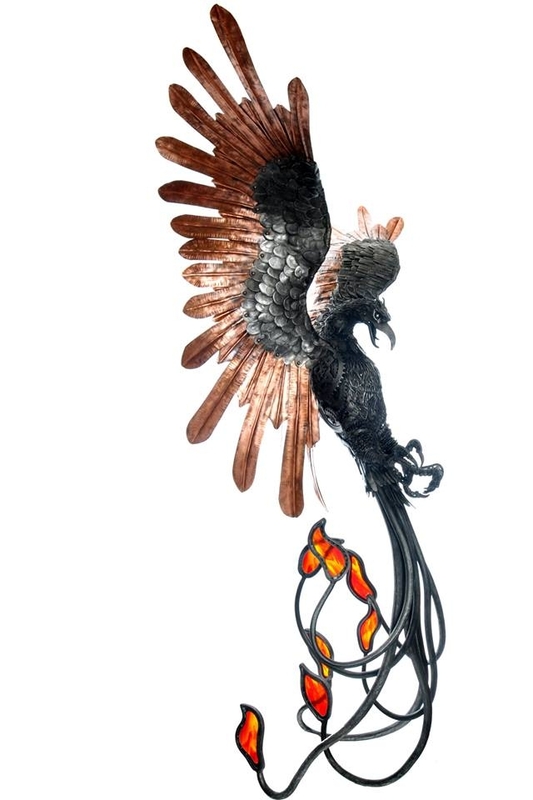 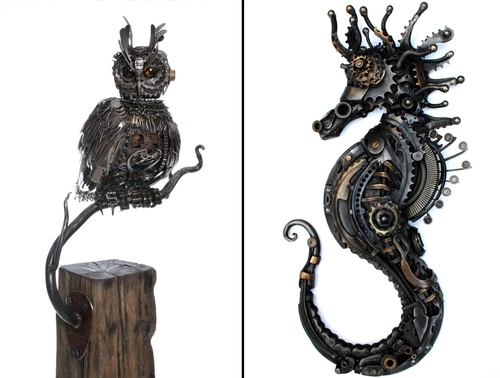 Amazing talent is needed to visualise a form, an animal, in most of the cases below and then using pre-shaped recycled metals to build and give them life. 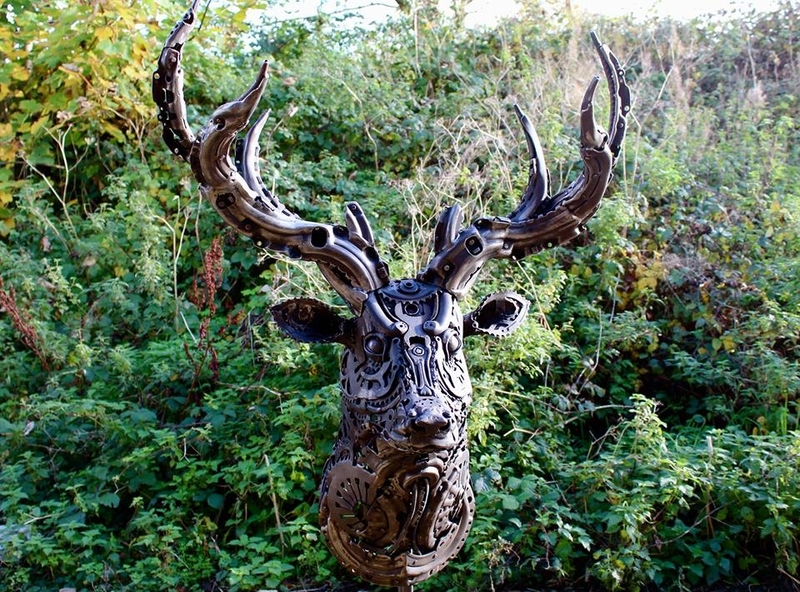 We have added detailed pictures so that you can appreciate the artistry that went into these beautifully proportioned creatures. 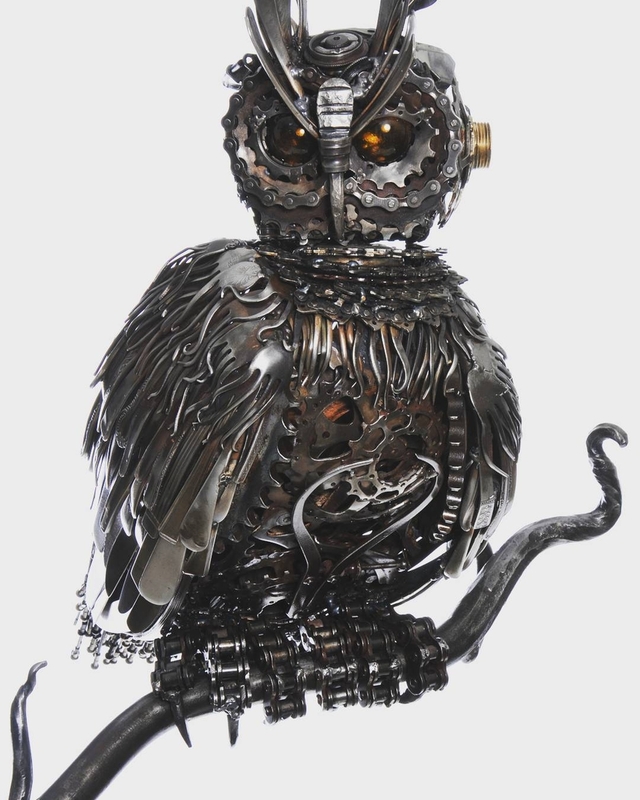 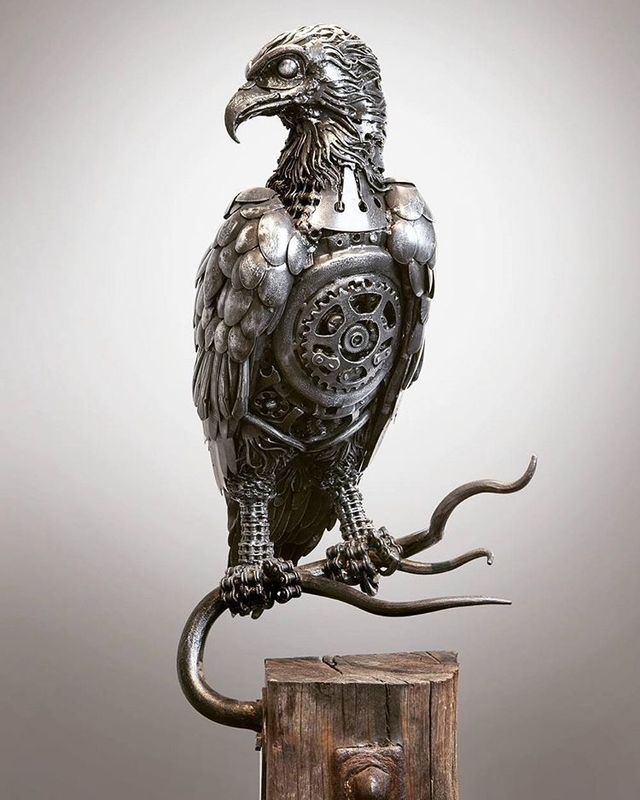 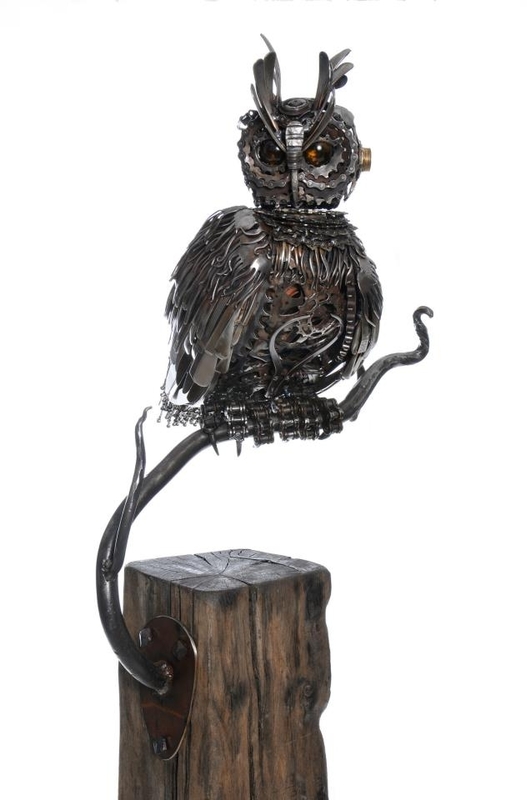 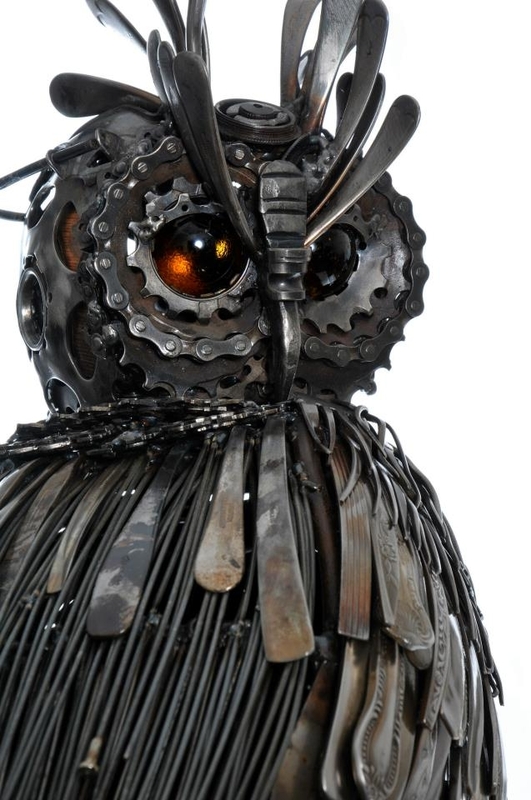 Eagle Owl - made mostly from old broken bike parts. 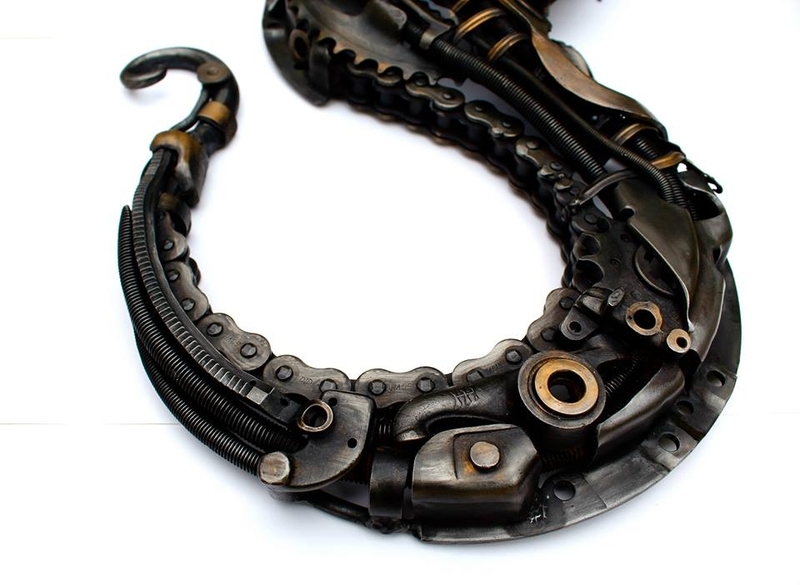 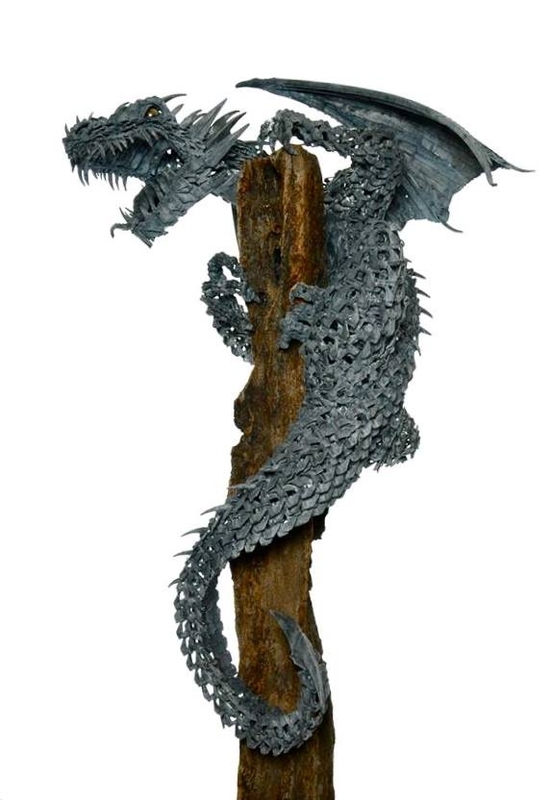 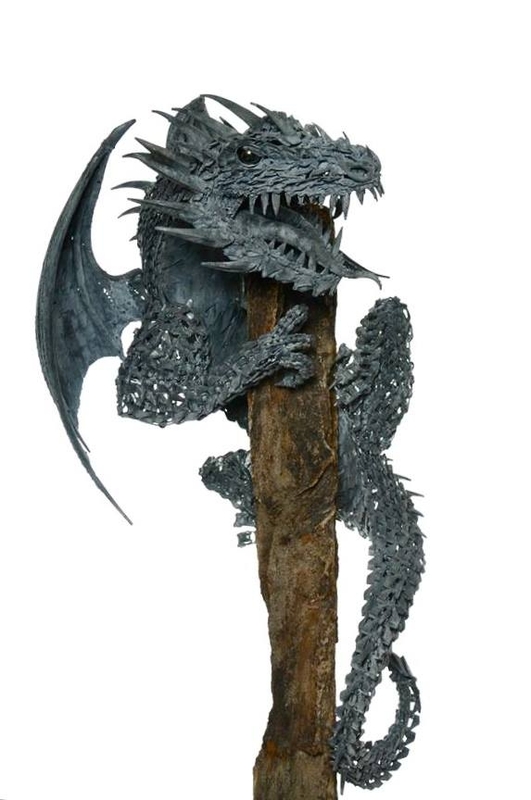 Dragon - Conveyor chain, saw blades, forged and found materials 200cm tall. 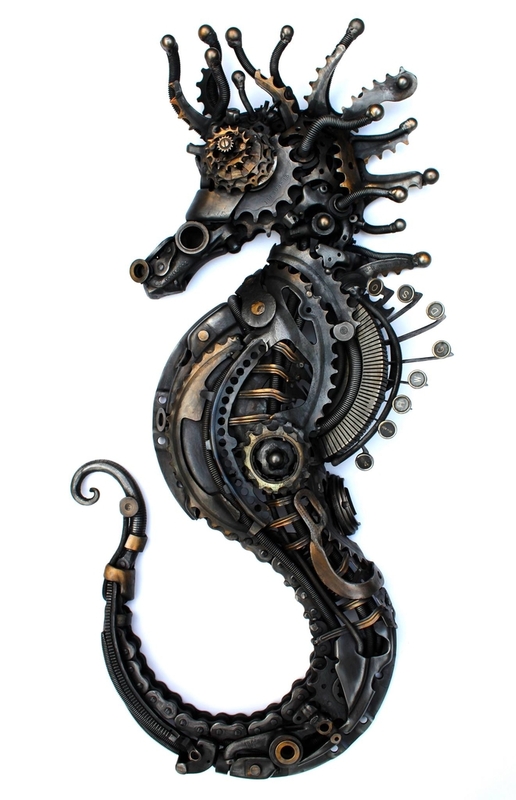 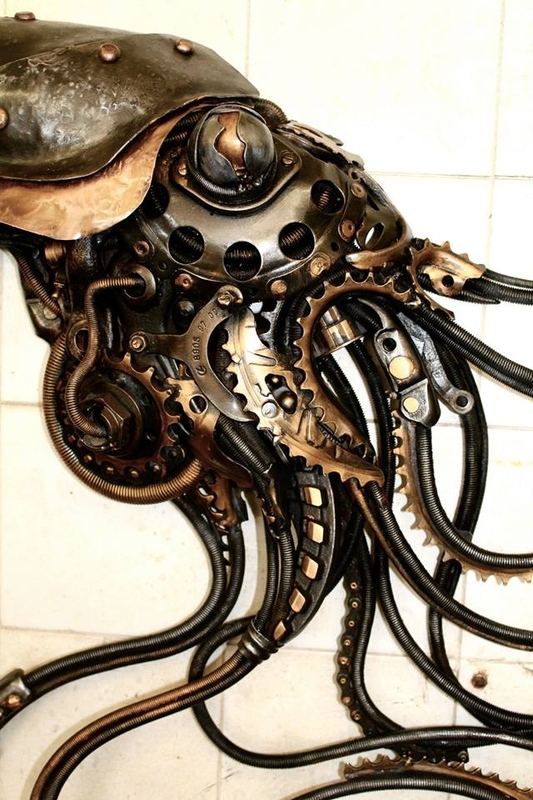 Steampunk Seahorse - Cogs, motor parts and an old typewriter. 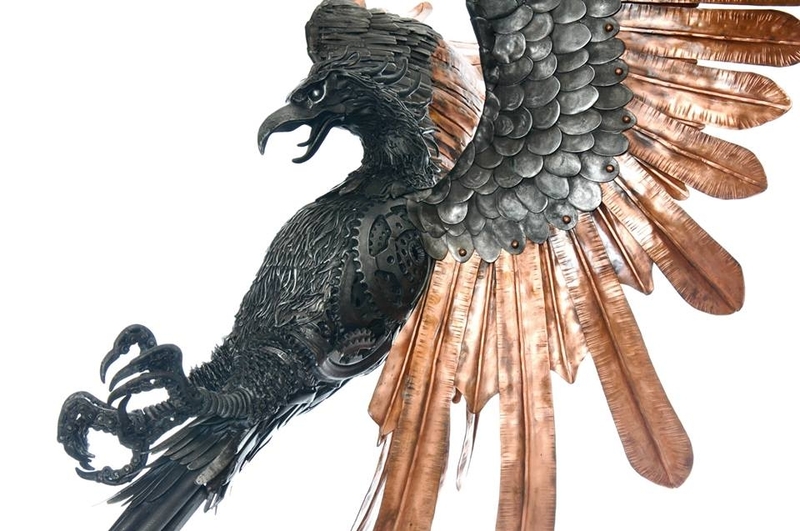 Phoenix - 8ft tall with over 2000 items of cutlery and a whole lotta other stuff to boot. 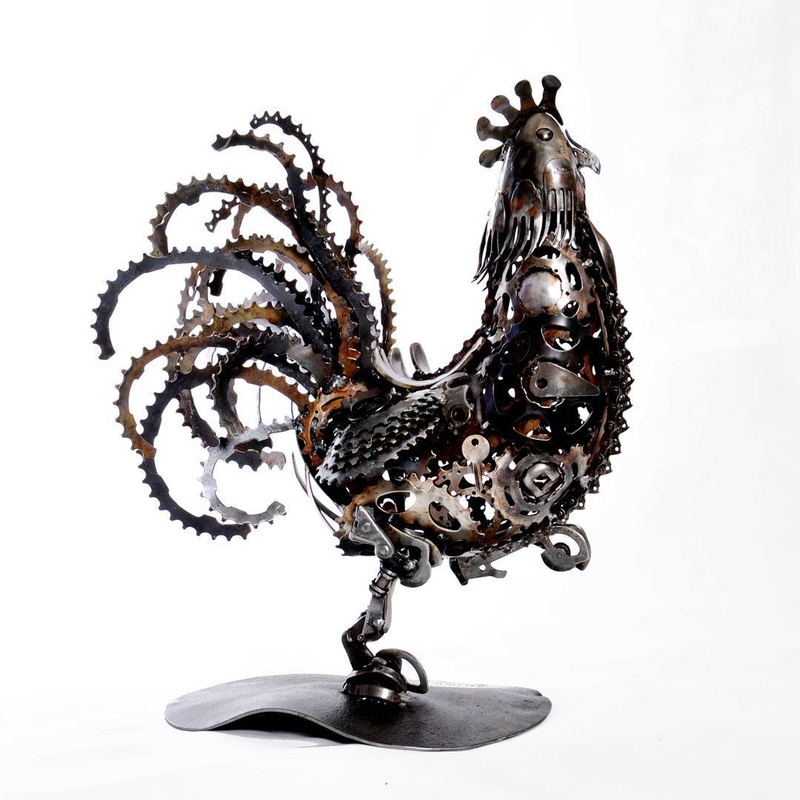 Cockerel - Mostly made from bicycle cogs and other parts. 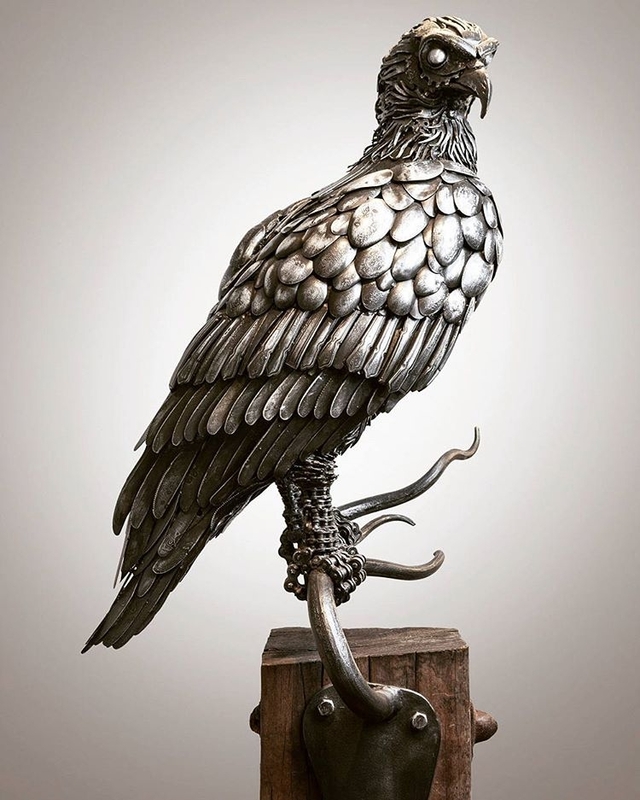 Osprey - recently finished. 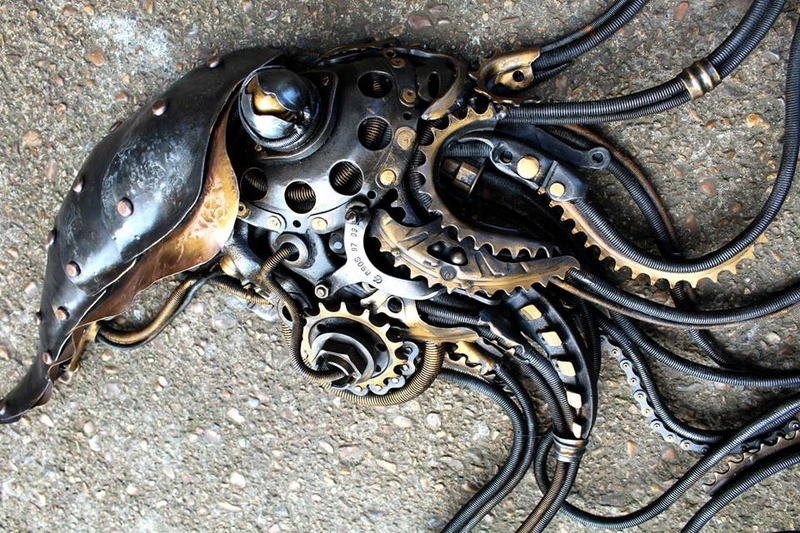 Spoons, sprockets, forks, knives and chains. 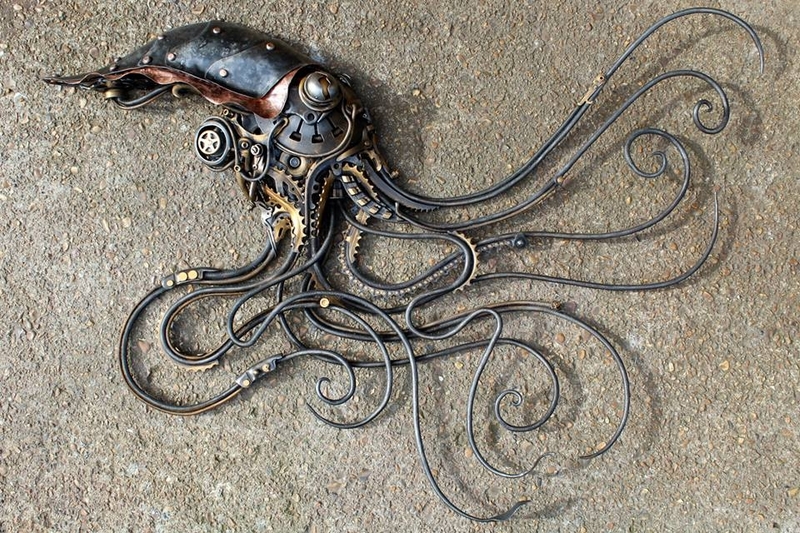 Multiplying Squidipus. 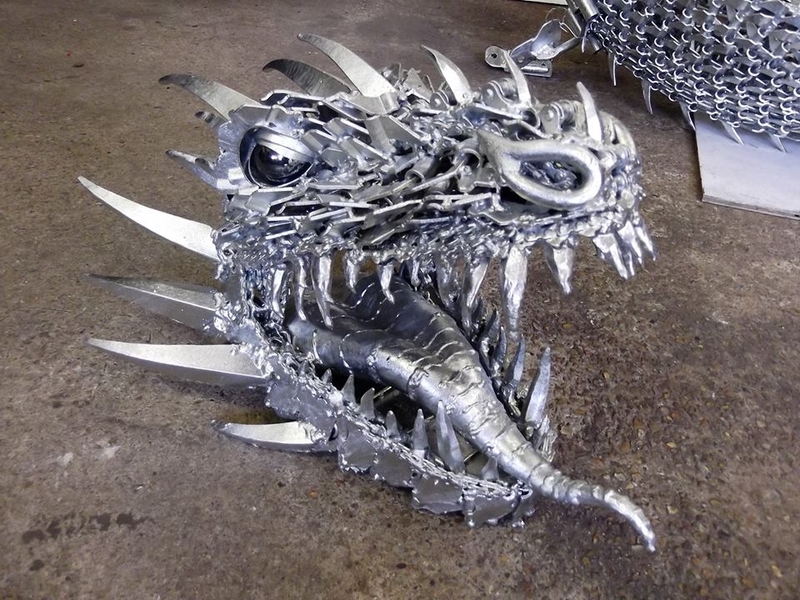 These two bad boys have just recently been spawned in the workshop. 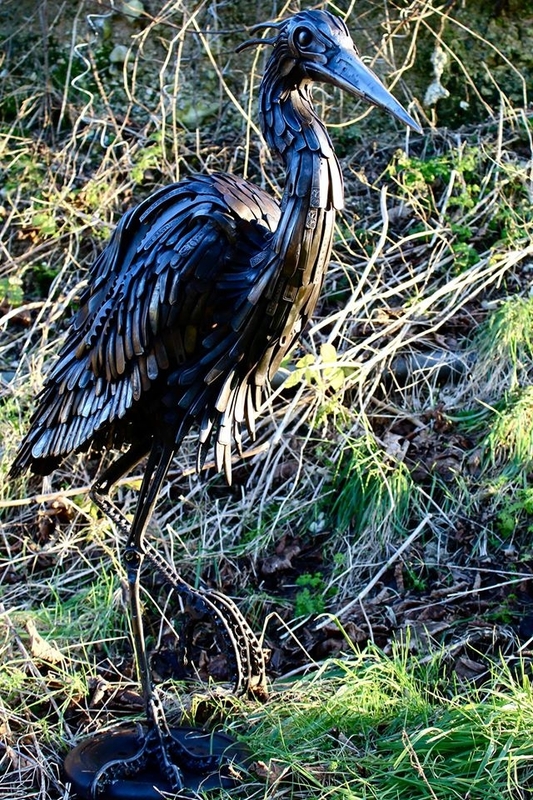 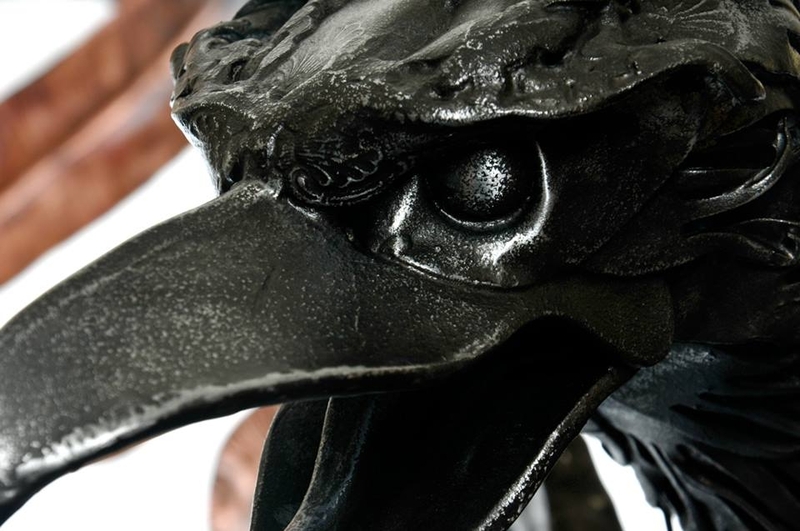 Heron made from cutlery, spanners, motorbike and car parts. 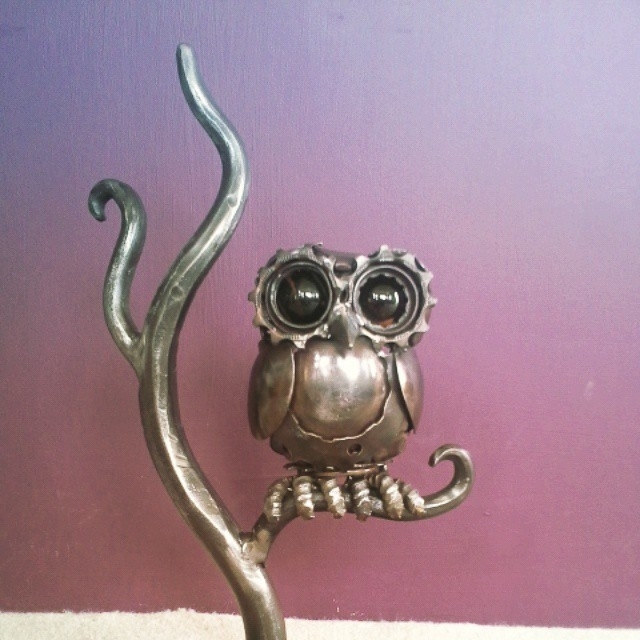 110cm tall. 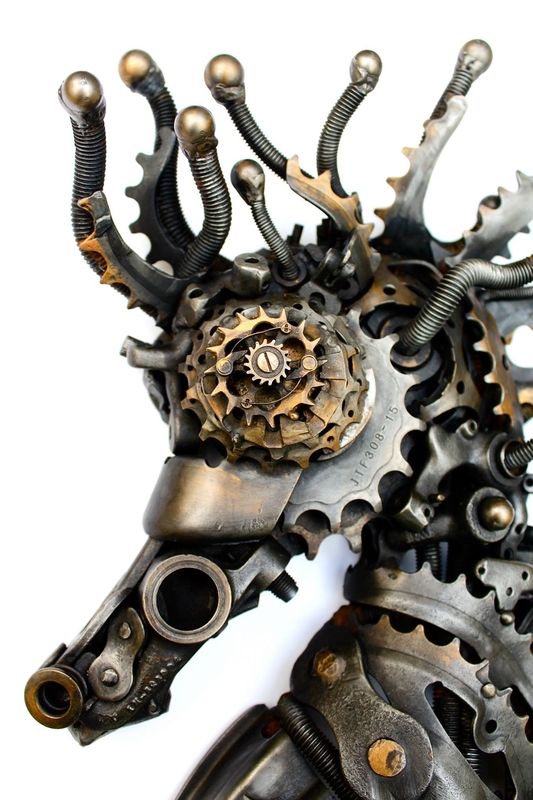 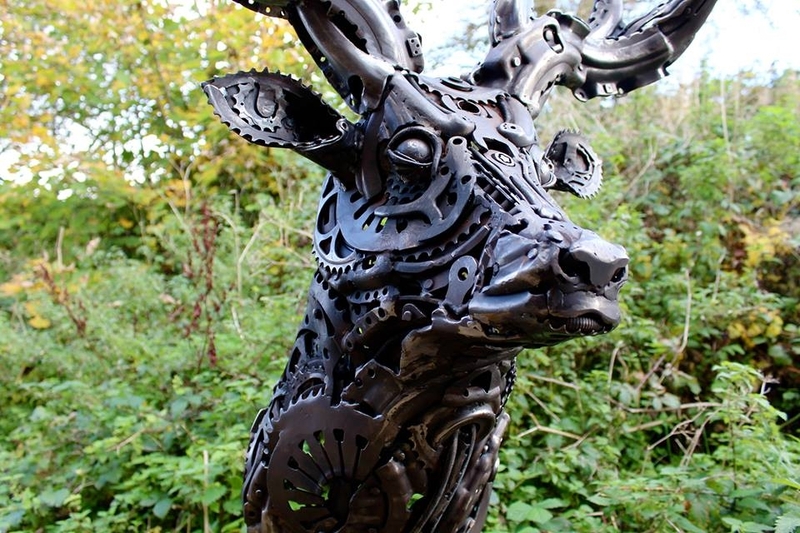 Stag - made from clutches and an assortment of other mechanical procurements.